Tonight Ohiophotogrl and I went to Sinclair Community Colleges performance of Godspell. What a wonderful time we had. The music and lyrics were great with a spin on what is happening in today’s world. Thy even used the studio audience! Well done Sinclair Theater Department. There is still a show tomorrow if you get a chance to see it you should. This entry was tagged 365, blogging, fun, Godspell, Mr. 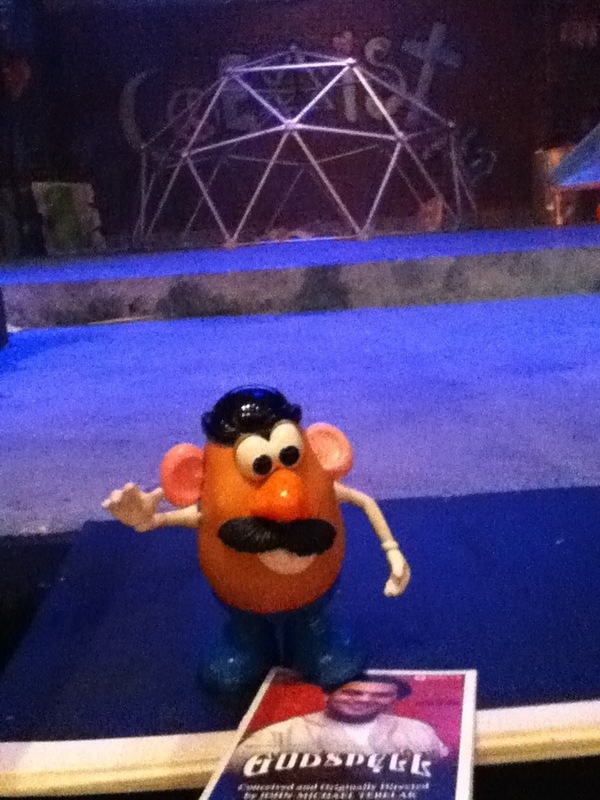 Potato Head, muse, picture a day. Bookmark the permalink.